The area has an abundance of wildlife, golden eagles, sea eagles, otters and seals, and if you are lucky you may catch a glimpse of the Red deer that are often spotted in the area. The local hill lochs offer the chance to catch some wonderful wild brown trout and the sea fishing is not to be missed. For the walkers among you, the area offers some great walks, there are various mountain paths for you to enjoy, such as the walk from Arrina to Cuaig, from here you can enjoy the wonderful views across to the island of Rona, Raasay and the Isle of Skye or for the more adventurous, a longer walk across the hills to the village of Applecross. The Applecross Historical society also has its base here at Clachan, and is well worth a trip to find out about the history of the area. The food lover is also well catered for with some excellent places to eat locally. Shieldaig a short drive away is worth a visit, with its pub and Coastal Kitchen restaurant, they serve a selection of the days catch, straight from the pier to the table, along with some more traditional fayre. Why not pop in to Nanny’s, a traditional highland shop that for many years was the only shop in the area, now serving coffee and cakes and selling locally produced crafts, freshly caught seafood and smoked salmon. A longer drive from the cottage is Applecross, with its well known hotel, pub and restaurant, together with the Walled Garden & Potting Shed restaurant situated in the grounds of Applecross House. For those wanting something extra special the world famous Torridon Hotel is a short drive away and is always worth a visit. 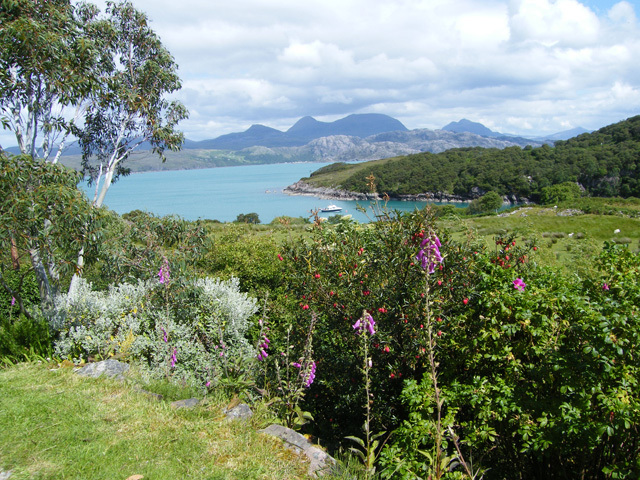 The spectacular Inverewe Gardens are also within easy reach. 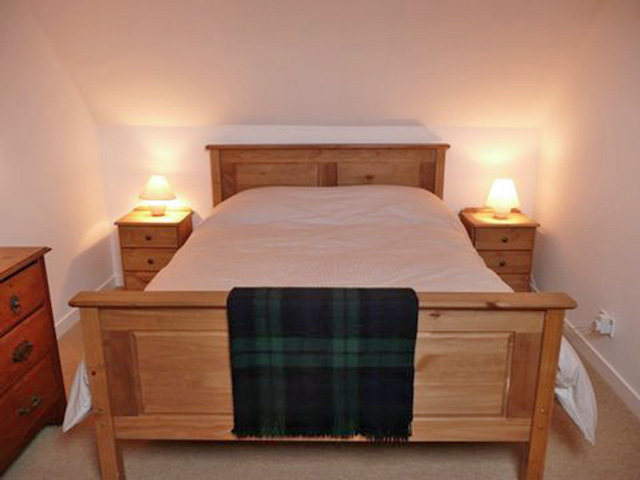 The cottage is in a superb position to enjoy the peace and tranquility of the Highlands, and the West coast sunsets. 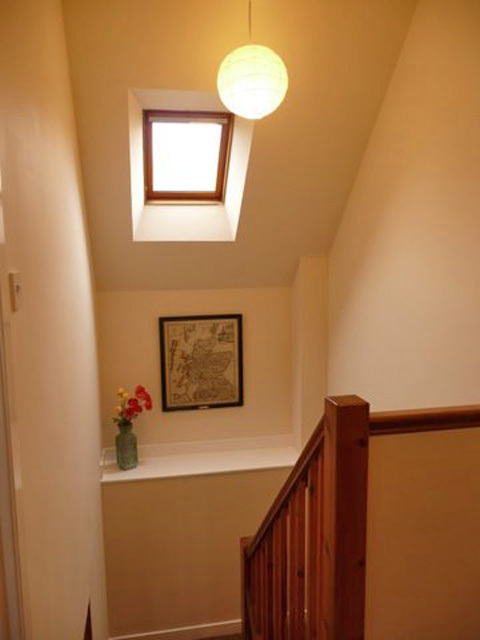 This traditional house has had a restyle; the downstairs open plan layout makes it spacious and welcoming. 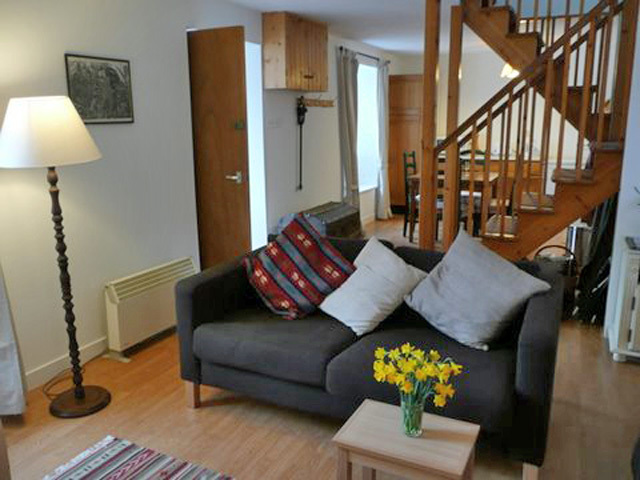 The cosy living room has comfortable sofas, and has an open fire, TV, DVD, radio, and a selection of books for reading. At one end is the kitchen with its dining area for four and at the other its sitting room with its comfortable sofas and open fire. 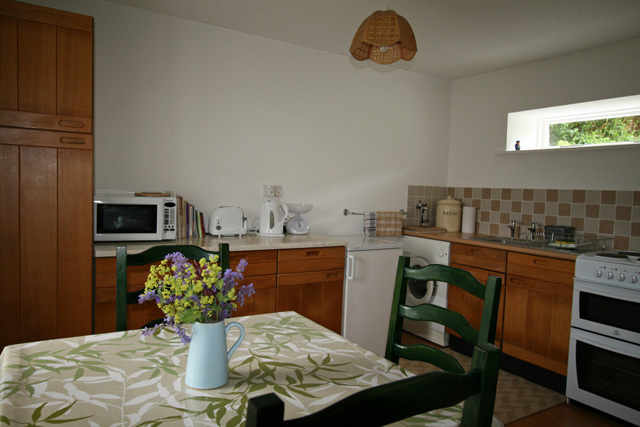 Kitchen/breakfast room with a well equipped kitchen with electric cooker, microwave, fridge, freezer, washing machine and dishwasher. 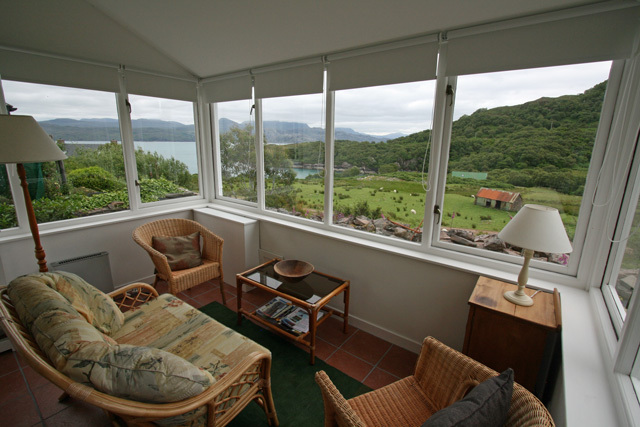 The sunroom is comfortably furnished and its large windows have marvelous views across to Torridon and beyond. 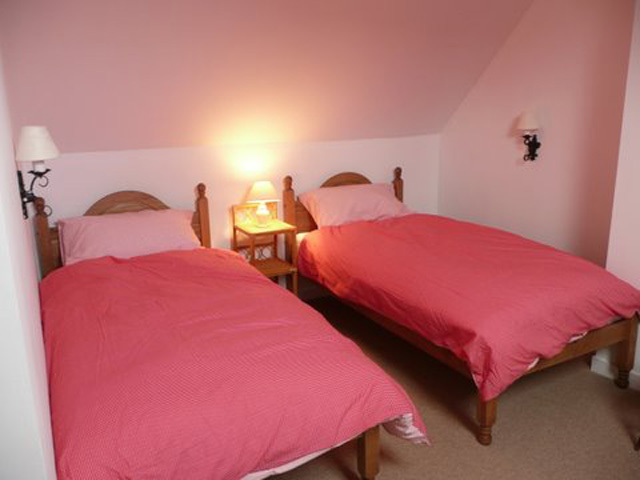 Two bedrooms, The master bedroom has a king size bed, the second bedroom has two single beds. 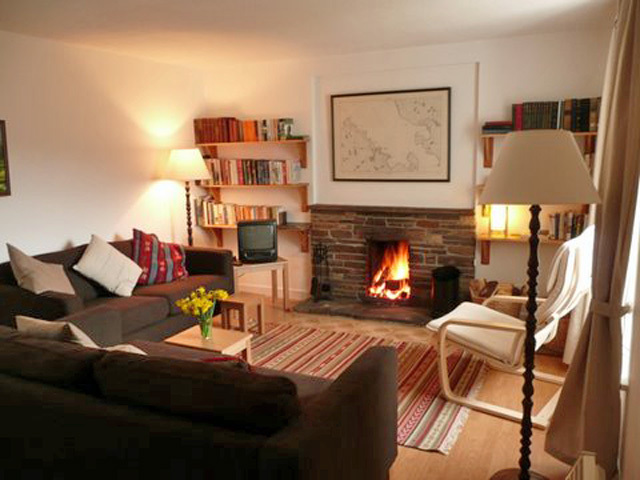 Heating is provided by the open fire, coal provided, and electric heating, all electricity is included. Outside seating area with garden furniture. One well behaved small dog is welcome at the property. The area around the cottage is crofting land, so please ensure your dog is under control at all times. The filtered water comes from a loch in the the surrounding hills. As a precaution you may want to boil water for personal consumption or use bottled water. Superb beaches, walking, climbing and fishing on your doorstep. 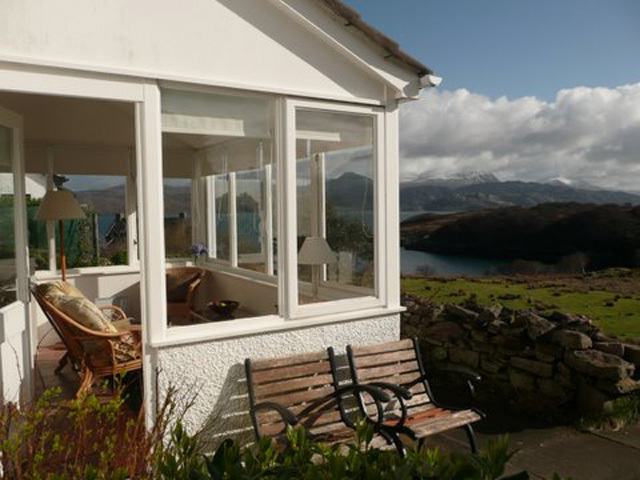 Warm and cosy cottage with wonderful views. 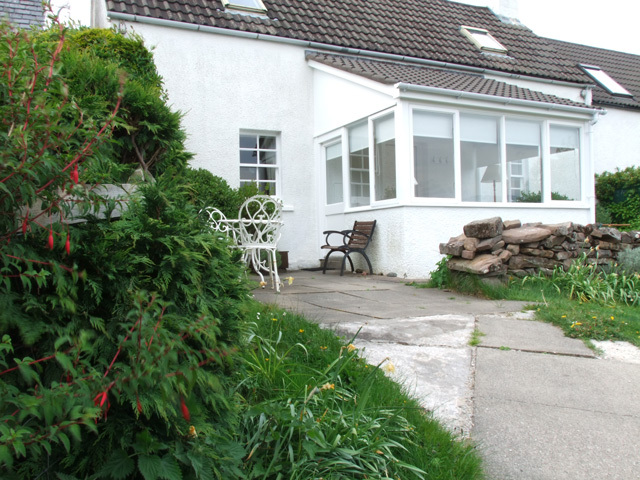 Fairly remote(12 miles to nearest shop) but with very helpful neighbours and perfect for peace and quiet. Generously equipped but could do with knife sharpener and some new crockery and glasses and possibly a larger fridge freezer especially for four people.